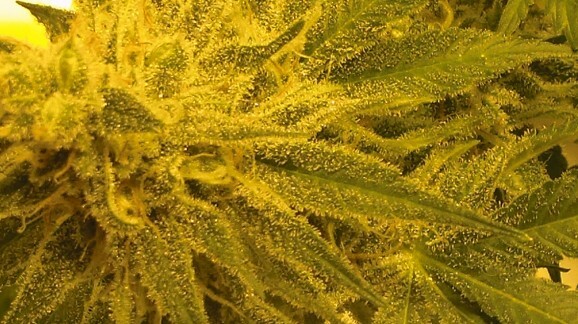 Looks: Very hardy,Deep green leaves,thick strong stalk & branches that support large Trichome saturated Colas. Smell: Sweet aroma,..black licorice with a hint of raspberry. Not extremely powerful while growing, but amazing after a good 4 week, dry/cure process. 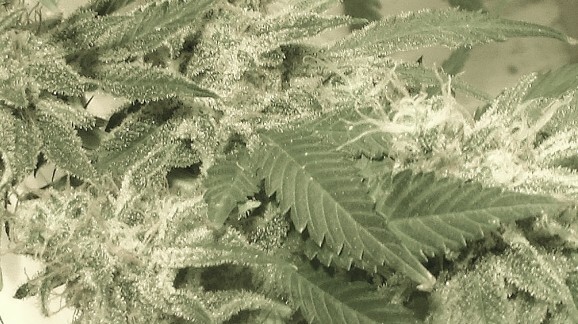 Taste: Blue Mystic is a lovers strain, bursting with sensual, fruity, flavors. Your girlfriend is gonna love this mistress. Effects: Very sweet, soft high. Intense, in all the right ways. Blue Mystic is extremely generous and enthusiastic, she readily gives of herself and asks only for what little moisture is inside your mouth, in return…don’t forget your water bottle. Good Strain For: Aches and pains, Insomnia, loss of appetite and a general sense of well being.